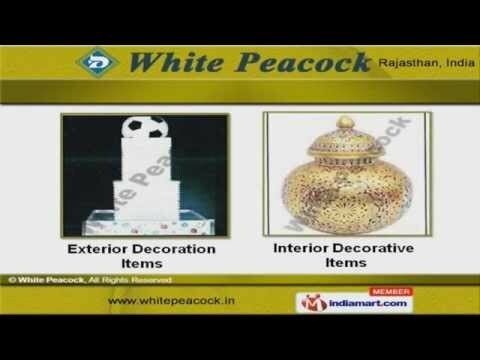 Welcome to White PeacockManufacturer & Exporter of Sculptures, Statues & ArtifactsWe are an ISO certified company, established in 2010 at Jaipur. Our client base is spread across IndianSubcontinent & other countries. Maximum client satisfaction, timeliness & stringent quality check are some of key features of ourorganization. Our product list includes premium grade Art Sculptures, Marble Statues & Sandstone Clay Artifacts. We offer a wide assortment of White marble Artifacts & Marble Temples. Along with that we provide exquisitely carved Exterior & Interior Decorative Items. Marble Abstract & Corporate Gifts are some of our best selling products. We also provide Ash Trays & Marble Diyas that are available in different shapes & designs. Our Marble Pillars & Columns are designed with perfection.